MOSCOW, March 16. /TASS/. 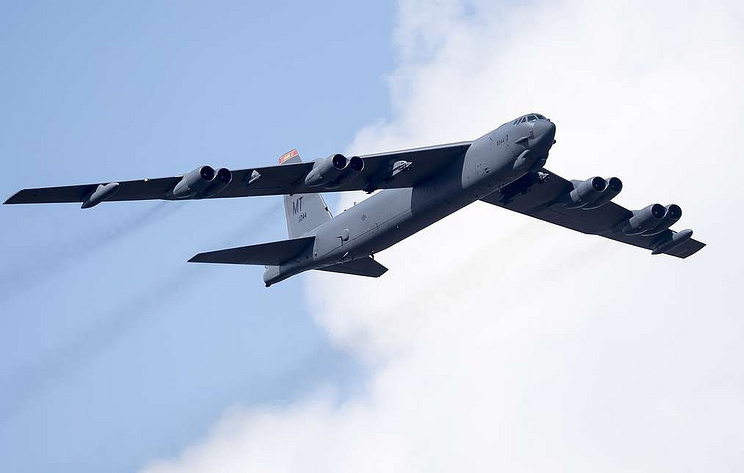 A US B-52 bomber, which flew over the Baltic Sea on Friday, did not approach Russia’s border closer than 150 kilometers, the Russian Defense Ministry reported on Friday. "On March 15, 2019, a US Air Force B-52 aircraft with the transponder switched on performed a flight over international waters of the Baltic Sea parallel to Russia’s territorial waters. The plane did not approach Russia’s border closer than 150 kilometers and turned around immediately after Russian air defense systems on combat duty tracked it," the ministry said. The Russian military regularly spots NATO member-countries’ aircraft over the Baltic Sea, but the flight of a strategic bomber is a rare occurrence. According to official reports, a B-52 plane was last spotted over the Baltic Sea in 2017.